Club Gascon is newly reopened in Smithfield, and is not doing things by halves. 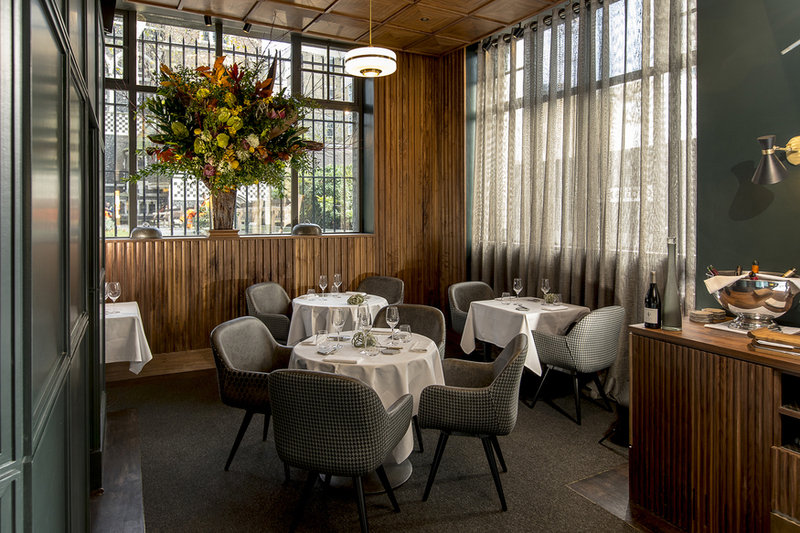 The refurb's brought the Michelin-starred restaurant a new semi-private dining space in the back, a wash of sleek marble and muted velvet to the decor, and a new menu format. There are still plenty of nods to the past, though. Divided into three sections — Gascon, Season and Garden — the menu starts with a series of dishes referencing greatest hits from the Club Gascon back catalogue. The second section moves on to the here-and-now of seasonal ingredients. And the third section lays out chef Pascal Aussignac's vision for the future: a greater emphasis on plant-based dining. That last one sounds like a dramatic departure for a restaurant where foie gras still features by the sizeable slice in the upper reaches of the Gascon section. But in reality it's not as abrupt a shift as it sounds. The evening tasting menu takes us on a tour through all three sections of the menu, and though the ethos behind them might be new, the techniques and intricacy are still along old-school Michelin-starred lines. Foams, glazes and the occasional truffling all feature, as does a series of beautifully ornate amuse-bouches. Most of that translates into rich, pitch-perfect dishes that couldn't be a square centimetre larger without being overpowering, or any smaller without leaving you craving more of the same. Surprise stars include a zingingly fresh sorbet, smoothness offset by fresh apple shards, the smoky, salty punch of the butter on the breadboard and the muscular heft of the Dover sole. 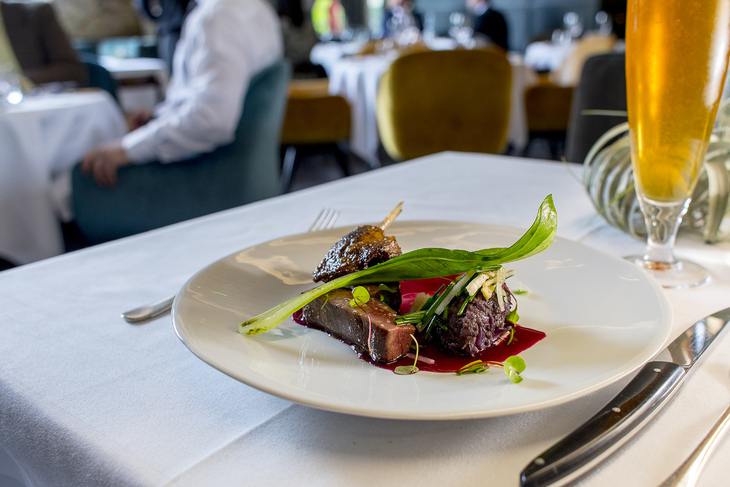 Unsurprise stars include a red-rare beef fillet with hibiscus sauce and curling greenery. There are a couple we can't love: least favourite thing we eat that evening has to be the sea urchin foam with the venison carpaccio, echoing the meaty-umami marriage of vitello al tonno but with a long, acerbic aftertaste. But foams aside, most of the dishes are somewhere between compellingly interesting and outright amazing — and while food's a serious matter at Club Gascon, the act of dining isn't a solemn one. The restaurant's more relaxed than we expected from a Michelin-starred, pricey and long-serving City site: service absent of starchiness, with the crowd —almost every table's taken on the weekday evening we visit — a more mixed collection of young and old, dressed up to the nines and dropped in for a bite informality. There's a lot to love about Aussignac's vision for the future, but the present's pretty damn good too. Club Gascon, 57 W Smithfield, EC1A 9DS.